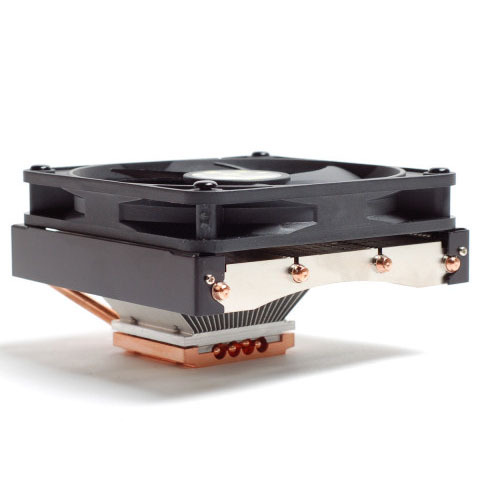 Crafted from the finest aluminum and copper materials, the Cooljag Falcon-2 CPU Cooler offers some of the most advanced technology this industry has to offer. Built to harness the utmost cooling potential of your PC, the Cooljag Falcon 2 CPU Cooler delivers unbelievably quiet performance, combining copper heat pipes, SkiveTek Technology, ultra-thin fins, and partners them up with a silent PWM-controlled 120mm fan. The 120mm fan is PWM controlled, with a speed that can vary between 500 and 2000 RPM. This innovative technology creates an ultra thin noise-output that produces a barely audible 15 dBA that can range up to 24 dBA (which is still incredibly quiet). While this CPU Cooler will work like a charm in any PC, the Cooljag Falcon 2 is exceptionally ideal for any Home Theater PC, thanks to it's ultra-low noise level.